I am From St. Johns is a public artwork made in collaboration with Nina Montenegro featuring the free verse poem of third generation St. John's resident Sharon Helgerson. 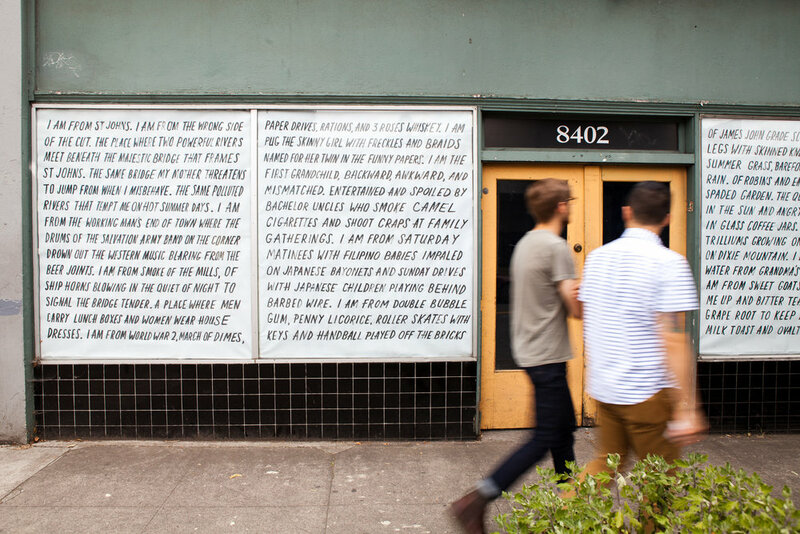 A hand-painted transcription of the previously unpublished poem was installed on the corner of Lombard and John Street in Portland Oregon across the street from James John School where Sharon went to school in 1942. This installation is part of a larger collaborative public project entitled People's Homes.